The Shopping Channel has a Flash Sale on now! 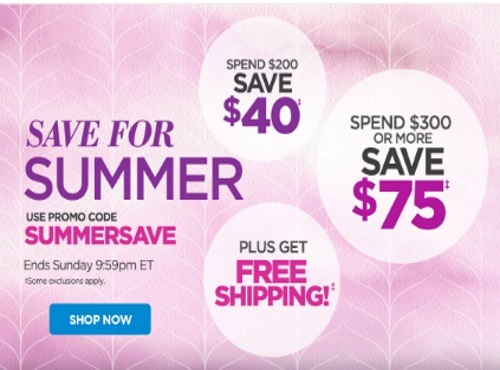 Save up to $75 off with the promo code below during their Save For Summer Sale! Enter the promo code SUMMERSAVE at checkout. Offer is valid until Sunday at 9:59pm ET. Free shipping applies as well.